Hello! Welcome to the day 2 of Taylored Expressions May Sneak Peeks! 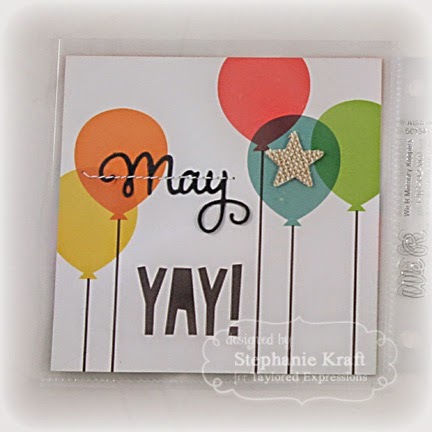 We are releasing 14 new stamp sets, 10 dies and 3 cutting plates! All products will be released on Thursday, May 8, @ 7 AM PST. May is the month that Brina and I both celebrate our birthdays. I used some pre-printed party pages from Simple Stories to kick start my layouts. On the left side, I added May using Pockets & Pages - May Script and a burlap star to the center of one of the balloons. 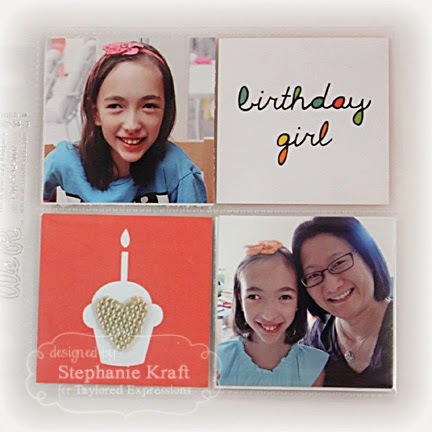 On the right side, I added two 2x2 photos as well as a couple more pre-printed Insta Squares. I added a burlap heart to the center of the cupcake. Below is a closer look of the left side. In the upper left square, I added "Best", which is also part of Pockets & Pages - May Script. I also decided to carry on the burlap theme from the other pages by adding a burlap arrow. 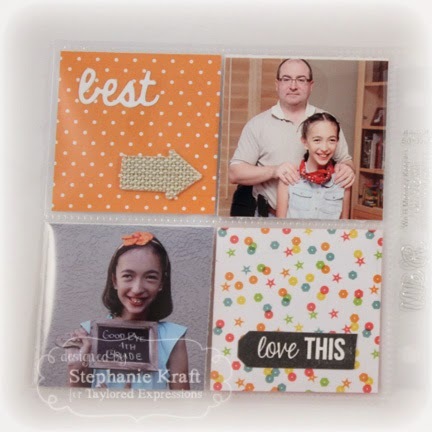 "Love this" was stamped from Pockets & Pages - Journal Tabs - Day. Instead of using the included coordinating tab die, I used the smallest Banner Stackets 3 to die cut it, then added it the lower right square. The right side features a rare family photo that a patron offered to take when we were out to lunch. 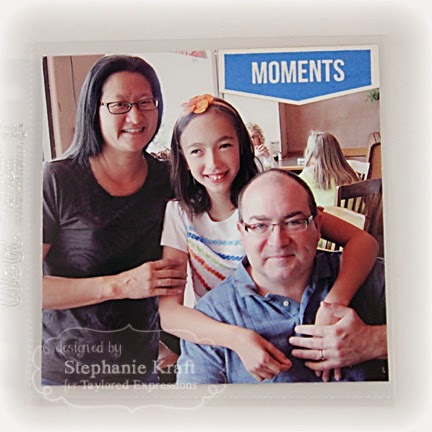 I added the "Moments" tab (using Pockets & Pages - Journal Tabs - Day). 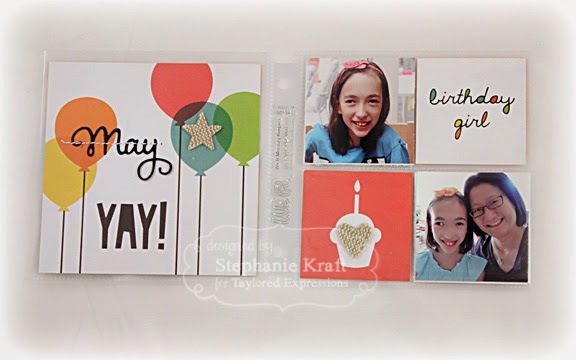 Accessories: Taylored Dies: Banner Stacklets 3, P&P Journal Tabs – Day coordinating, P&P May Script (TE); Burlap Stickers, Snap InstaSquares & Pieces – Birthday (Simple Stories); Thread, Sewing machine. Fabulous pages and I love the photos! This is gorgeous Steph! I love what you did with the overlapping balloons - seriously cool!